I freely admit I don't know heaps about hip hop culture or b-boys. But I do know when a dancer is technically skilled with a full-on commitment to his, or her, art form. That commitment was on full display on the parts of the performers in choreographer Amy O'Neal's 'Opposing Forces' at On The Boards, Saturday October 25th, 2014. O'Neal assembled five of the Seattle area's most respected b-boys, along with musician/DJ WD4D, to create a performance that both opens the door to hip hop culture for a (mostly) non-hip hop audience, while at the same time allowing the cast members to explore both their art form and themselves as artists. The result was an electrifying evening. 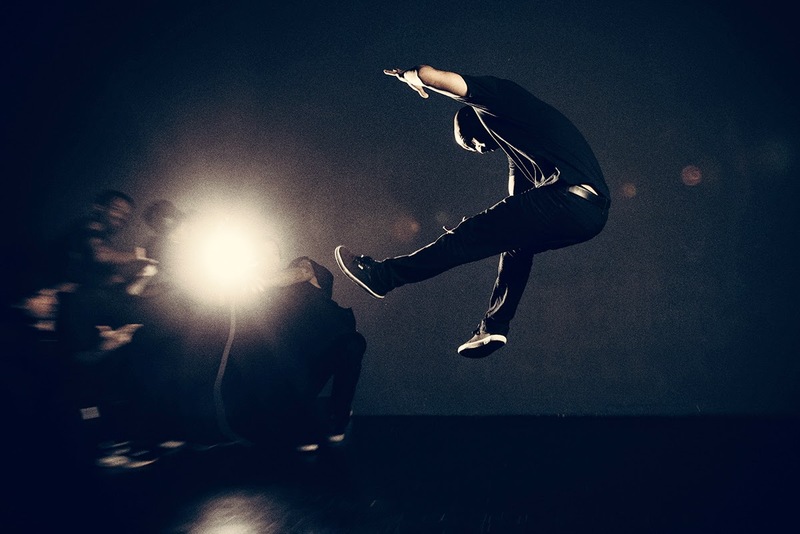 B-boying (yeah, it's a noun), emerged as a way for dancers to demonstrate not only their performance prowess, but also to establish their macho creds. Dance crews compete; they win trophies around the world at this point. O'Neal explains in the program notes that she and the cast "needed to show their complexity as dancers, that they are not just machines or clowns who do tricks for entertainment purposes." "Opposing Forces" begins with a competition. Members of O'Neal's "crew" line up against three guest performers from Dogg Pound Crew. Each side tries to top the other with everything from dizzying head spins to one-armed handstands to lightning-quick footwork. The audience's role is to cheer on our favorites. From that opening, though, the performance slows down and starts to unfold into a kaleidoscope of solos and ensemble work. 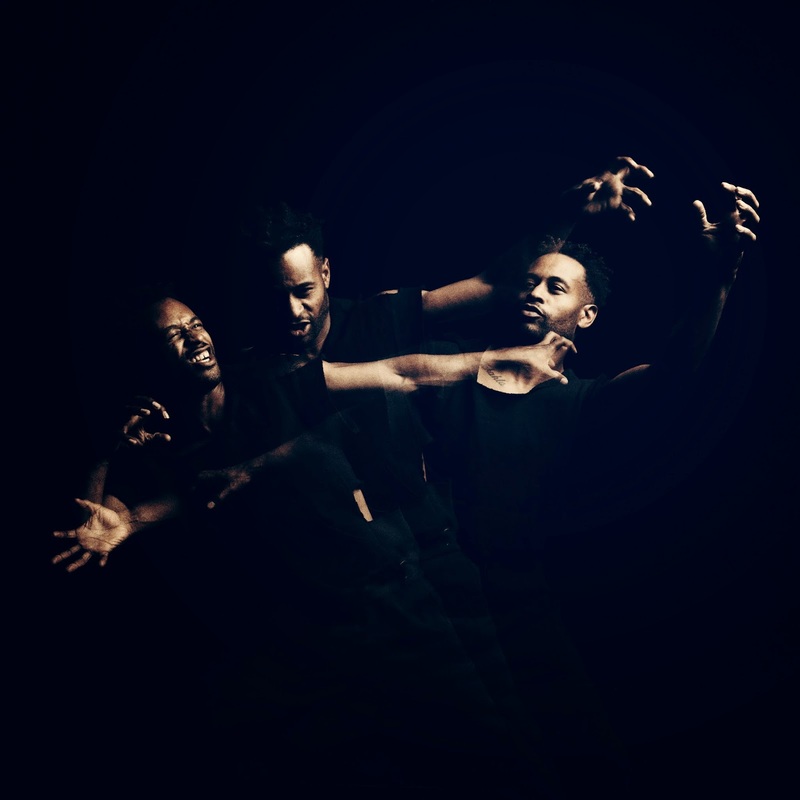 Each man has a chance to showcase his particular moves to the accompaniment of music and recorded voices that reveal to the audience tidbits about the dancers' personal lives and their thoughts about art and dance and hip hop culture. We see Michael O'Neal Jr.'s brawn and beauty, as well as Mozeslateef's exploration of how to move beyond society's limits. Fever One shows us the meaning of gravity defiance, while Alfredo "Free" Vergara Jr. and Brysen "JustBe" Angeles define the meaning of smooth, oozing their bodies across the floor. And while we continue to gasp in appreciation of their virtuosity and strength, we start to think about this particular art form in the context of other dance genres. I spoke to Amy O'Neal and Brysen Angeles in September. At the time I was curious to know why they dance. O'Neal says she needs it for her spiritual and physical health. Angeles told me that, when he dances, when he's truly committed to the movement, there is no separation between his mind and his body, that he channels something deeper than himself. You can think of that as an artistic equivalent of yoga or meditation, I guess. In November, Pacific Northwest Ballet will perform David Dawson's beautiful dance "A Million Kisses to My Skin." Dawson says the title refers to the way dancers feel when they are "in the zone"; Angeles doesn't use that same terminology, but I get the sense he feels the same way when he's dancing; that each movement is a caress. I left "Opposing Forces" invigorated on so many levels. This tiny window into a form of cultural expression left me with huge appreciation for its practitioners. More than that, it left me thinking deeply about what drives any artist to create and to perform. I was struck again by Amy O'Neal's unique vision and her unique choreographic expression of that vision. "Opposing Forces" can be enjoyed for its sheer physicality, for the contagious beat WD4D creates with his sound design. But O'Neal also pushes her audience beyond simply enjoyment. She wants us to question our assumptions about art, and about society. I left "Opposing Forces" thinking, which is perhaps the highest compliment I can pay any artist.